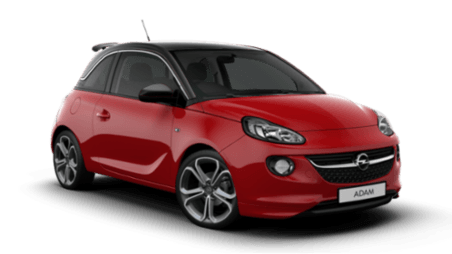 Finance Example Opel Adam 1.4 100PS Start/Stop. Retail Price† €16,350. Customer Deposit/Trade-in €5,722.50. Finance Amount €10,627.50. 37 monthly payments of €157.35. GMFV†† (Optional Final Payment) €6,175.00. Fixed APR (Annual Percentage Rate) 4.9% as at 01/03/2019. Min deposit 10%.